Boyne Berries 12 was launched last evening in the Castle Arch Hotel by Professor Gregory Castle, Department of English, Arizona State University, Tempe. 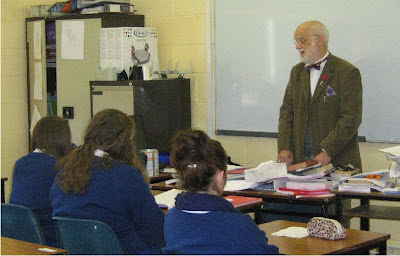 An audience of about sixty people attended and heard Gregory talk about his involvement with poetry from early efforts, designed to impress girls, to his current work. He complimented Boyne Writers Group on the continued publication of the magazine and commented on the variety of styles and themes of the prose and poetry in the issue. He also mentioned that an ancestor of his had fought on the Williamite side at the Battle of the Boyne. Eighteen of those whose work is featured in the magazine attended and read. These included student Emma Clarke who travelled from Kerry to read her wonderful story, Sheep, about a youth diagnosed as bi-polar and Frank Farrelly from Waterford who read his poem, Visiting Rites, about visiting the grave of his father, who incidentally was born in Meath. 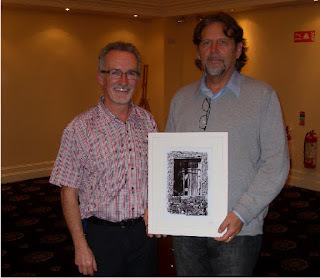 The evening ended with Greg Hastings, who designs the covers for Boyne Berries, presenting Gregory Castle (on the right in picture above) with a framed print of the cover image as a token of the Group's appreciation. Boyne Berries 12 is available in Antonia's Bookshop and in Spar, Trim and online on the Group's website. ‘If you could be any animal, what would you be?’ is the intriguing first line of a wonderful story by student, Emma Clarke, written from the point of view of a young person who has been diagnosed with autism, published in Boyne Berries 12. This magazine, published by Boyne Writers Group, Trim, will be launched on Thursday 27 September at 8pm in the Castle Arch Hotel, Trim. 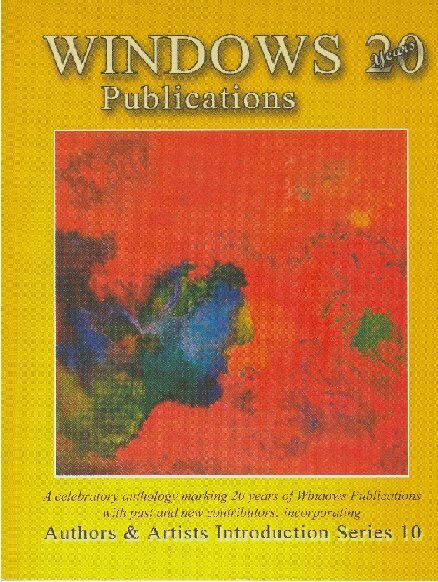 The sixty or so pages of the magazine contain a wealth of prose and poetry from local and international writers on a wide variety of topics. A quick glance at the titles gives a flavour of the contents: Farewell Quaintsville, The Magi, Lenny – The Dog that Could Lick your Mind, Kings and Queens of Yard Sales, Crossing the Border, A Memory of Facial Hair, Piracy, 1980’s Style, Nothing’s as Simple as it Seems. 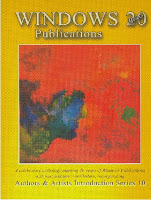 There are many gems in the issue including the egg-shaped poem, At the Cold Buffet by Kate Dempsey, three poignant poems which deal with the problems associated with old age; Clare McCotter’s Early Dementia; Susan Kelly’s Room 41; Her True Colours by Honor Duff; Louis Moran’s family saga Nothing’s as Simple as it Seems; and Maeve O’Sullivan’s topical White Star dealing with the Titanic disaster, the centenary of which is being marked this year. This issue will be launched by Professor Gregory Castle of the Department of English, Arizona State University, Tempe, Arizona. 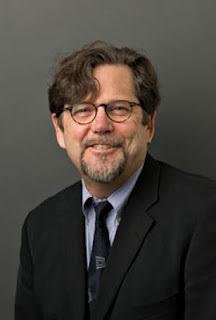 Professor Castle (pictured above) teaches courses in British and Irish literature, modernism, postcolonial studies, and literary and critical theory. He is the author of a number of books including Modernism and the Celtic Revival (2001) and The Blackwell Guide to Literary Theory (2007). He has had poems published in previous issues of Boyne Berries. The Boyne Writers Group are to be congratulated on the continued appearance of this publication. The group was founded in 2006 and meets fortnightly in the Castle Arch Hotel, Trim. Members have had their work published in magazines in Ireland and abroad, have had pieces read on Sunday Miscellany and have been awarded prizes for their work in literary competitions. They have contributed to the annual Trim Swift Festival, competing in the annual Battle of the Books satire competition at that festival, and have read poetry around the town. The group also hold regular poetry readings for residents in St Joseph’s and Knightsbridge Homes in Trim. Local writers are well represented. Tommy Murray’s poem, Friendly Fire, is a caustic look at the abuse of language in modern warfare, and Orla Fay writes about Leaving Oz. Lesley Carty writes about Lagore Crannóg and Adrienne Leavy about Blackrock Golf Club Revisited. Many of the contributors will attend and read their work at the launch. Admission is free and all are welcome. Boyne Berries 12 costs €8 but will be on sale at a reduced price at the launch. It will also be available in Antonia’s Bookshop, and in SPAR Trim or can be purchased through the website www.boynewriters.com. Poetry Ireland, in association with Doghouse Books and the Irish Haiku Society, presents the launch of Bamboo Dreams, an anthology of haiku poetry from Ireland, edited by Anatoly Kudryavitsky. The launch takes place on Tuesday, 25 September 2012 at 6.30pm in the Unitarian Church, 112 St Stephen’s Green West, Dublin 2. The anthology will be launched by Mr. Jimmy Deenihan T.D., Minister for Arts, Heritage and the Gaeltacht, and will include musical accompaniment from Junshi Murakami (Celtic harp) and Philip Horan (shakuhachi bamboo flute). Admission to this event is free, refreshments will be provided. 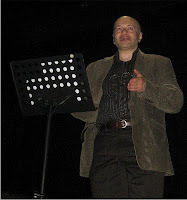 Anatoly pictured above reading at the Doghouse Reading in Siamsa in Tralee earlier this year. I don't write many haiku. 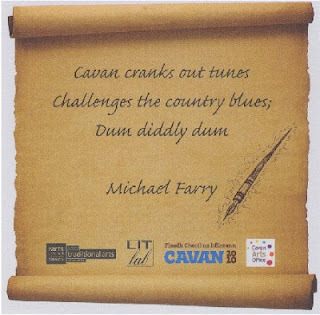 Below is my attempt for the LitLab Cavan Fleadh Haiku Beermats 2010. No seasonal reference and there was disagreement as to the number of syllables in the final line - I maintained that west of Ireland pronunciation makes diddly a three-syllable word. Labels: Poetry Ireland; Doghouse Books; Irish Haiku Society; Bamboo Dreams; haiku anthology; Anatoly Kudryavitsky. It sometimes happens that we collect copies of our magazine, Boyne Berries, from the printers on the morning of the launch. This time we have done everything in good time and the magazine is ready and has been collected. Boyne Berries 12, published by Boyne Writers Group, Trim, will be launched on Thursday 27 March at 8pm in the Castle Arch Hotel, Trim. This issue will be launched by Professor Gregory Castle of the Department of English, Arizona State University, Tempe, Arizona. Professor Castle teaches courses in British and Irish literature, modernism, postcolonial studies, and literary and critical theory. He is the author of a number of books including Modernism and the Celtic Revival (2001) and The Blackwell Guide to Literary Theory (2007). He has had poems published in previous issues of Boyne Berries. Boyne Berries 12 costs €8 but will be on sale at a reduced price at the launch. It will also be available in Antonia’s Bookshop and in SPAR, Trim or can be purchased through the website www.boynewriters.com. More in advance of the launch. This seems like a great idea. Quite a selection of poets here. Duration: 10 Weeks, Cost: €350/€320. This ten-week workshop series will be taught by a different poet each week. The theme and style of the workshop will change from writer to writer, giving participants a taste of various types of poetry and approached to writing. Through the course of the ten week students will encounter a variety of writing styles and maybe a poet they haven't encountered before. For details and to book go to the Irish Writers Centre website here. A limited number of spaces for single workshops may be made available at noon on Monday 24 September costing €40 for non-members or €35 for members. Bookings for the individual sessions will not be available to book before then and will be dependent on availability. 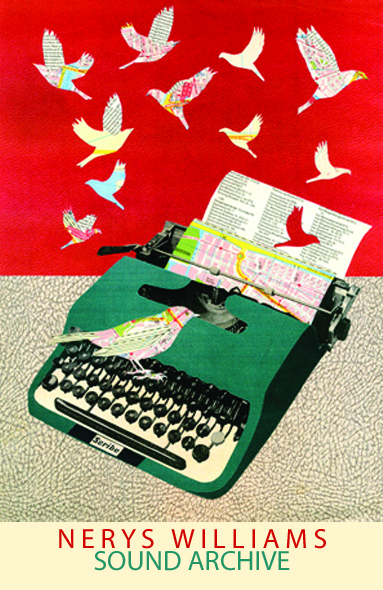 Established in 1978, the Poetry Society’s National Poetry Competition (UK) is one of the world’s biggest and most prestigious poetry contests. 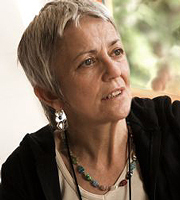 The judges this year are Vicki Feaver, W.N. Herbert and Nick Laird. Winners include both established and emerging poets, and for many the prize has proved an important career milestone. The prizes are: £5,000 for the overall winner, £2,000 for the second, £1,000 for the third, with seven commendations of £100. The deadline is 31 October. Enter online or download an entry form here. You can check out the top three winning poems from 2011 on the Poetry Society's website here where they have added some discussion points to each. Among Leaving Certificate students actually. It's fun to act as Yeats and answer questions about his poems. Yeats is so difficult to pin down and his poems have such variety of topic and mood that he's quite difficult to study. Also very much a public man engaged in the history of his time. They knew the poems, and some had favourites - An Irish Airman Foresees his Death - and one they didn't like - The Lake Isle of Innisfree. I was asked why I changed my mind about the Irish middle classes between September 1913 and Easter 1916 referring to those two poems. Difficult!! The costume, such as it was, was fun. 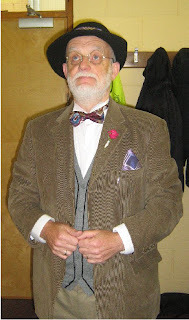 The beard was out of place of course but I did remember to turn off my mobile telephone apparatus. I was able to boast about my poems being included in this new iPhone app. That's a great selection and covers his life's well well apart from Maud and the love poems. An Acre of Grass, Swift' Epitaph and Politics are unexpected choices but interesting. It is fitting that Meath County Council should acclaim Mary Lavin as an artist of distinction in this her centenary year. The Mary Lavin Season invites us to explore and celebrate the work of one of Ireland’s major writers and one of the great artist of the short story in the English language. 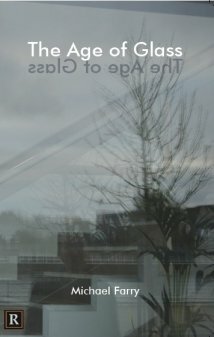 Solstice Arts Centre presents Mike Bunn Photography. Photographer Mike Bunn will present photographs of Lavin taken in the 1970s, alongside a new series of images of contemporary writers and artists in Ireland today. Venue: Solstice Arts Centre, 7th Sept - 7th Oct. Renowned theatre company Two Chairs will perform Mary Lavin's well loved stories; A Likely Story and The Widows Son for 5th/6th class pupils. These wonderful stories are set in Co. Meath, and feature the landscape, folklore and people, of the area around Bective, where Mary Lavin and her family lived for many years. Fri Nov 9th, Dunshaughlin Library, 11am. Tues Nov 20th, Navan Library, 11am. Thurs Nov 22nd, Trim Library Time: 11am. Please contact local library to book places. Meath County Council Library Service presents Eileen Battersby on Mary Lavin. 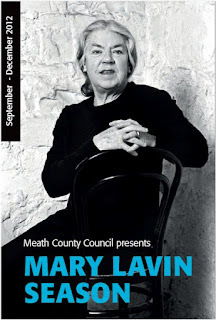 Meath County Council Library Service presents Michael Harding on Mary Lavin. Michael Harding will present a talk on the life and works of Mary Lavin. Michael Harding is an Irish short-story writer, novelist, and playwright, born in County Cavan. Meath County Council Arts Office presents Tales from Bellinter. Bellinter House Hotel. December 3rd - 5th. 8pm Price: €15/ €12 conc. Booking essential, limited tickets can be booked through Solstice Arts Centre. This festival, which was a stand-alone festival up to now, this year took place as part of the dlr Mountains to Sea Book Festival, though it was curated separately by poet Paul Perry. I attended yesterday Sunday afternoon and got to two events. I met lots of poets and some fellow bloggers and the general agreement seemed to be that this year's poetry festival was very enjoyable but there was some regret that it had ceased as a separate festival. The Strong Award, which is presented annually to the author of the best first collection of poems published by an Irish poet in the previous year, went ahead with the assistance of Shine, the national organisation involved with mental health issues. The readings and award announcement was well attended. Three of the four short listed poets read. The shortlisted poets and collections were: Nerys Williams, Sound Archive, Seren; Eoghan Walls, The Salt Harvest, Seren; Noel Duffy, In the Library of Lost Objects, Ward Wood; Ailbhe Darcy, Imaginary Menagerie, Bloodaxe. Ailbe was unable to attend. The readings were well done and varied. I'm always interested in to what extent a poet introduces/explains poem before reading it. Difficult to get right. Of course the decision was made before the reading which was for the benefit of the audience. Peter Sirr, the adjudicator for the award, announced that the winner was Sound Archive by Nerys Williams. Well deserved on the evidence of the poems read. 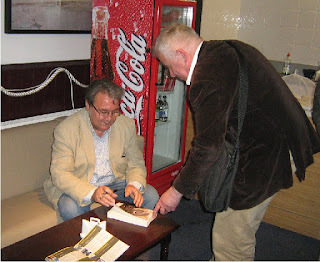 Then I attended the launch of Macdara Woods Collected Poems published by Dedalus Press. This event was booked out - free but booking essential. A great venue, the Dun Laoghaire Maritime Museum, and a large collection of well-know Irish poets assembled to celebrate the launch of Macdara's Collected and his 70 years. We had music, readings of Macdara's poems by eight friends and fellow poets and reading by the author himself, all capably compered by Joseph Woods of Poetry Ireland. Macdara shortlisted a poem of mine in 2006 in the Scríobh Poetry Competition in Sligo and the poem was published in the competition anthology, my first competition success and first poem published. So well done Macdara! Macdara signs his Collected for fellow-poet Richard Halperin. Asking for Directions. 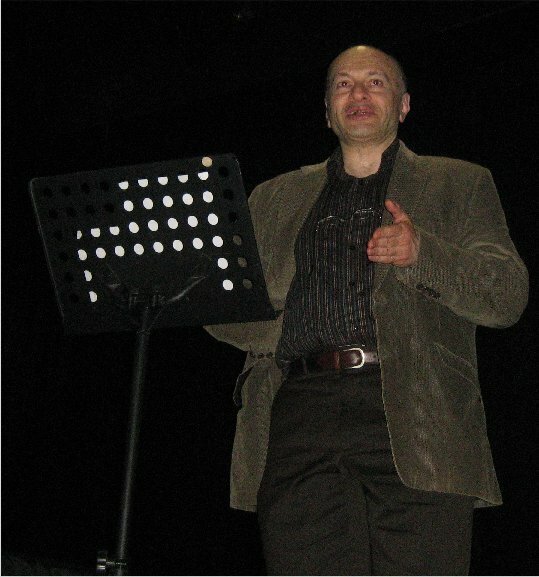 Michael Farry. Doghouse. 61 pp €12 pb 19 cm +0-9565280-9-4. Farry is a retired teacher originally from county Sligo but now living in Meath. 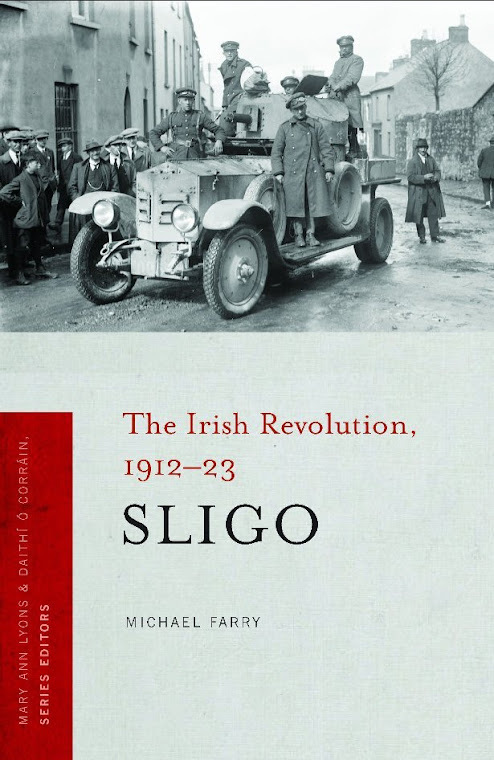 He is also an historian who has written three books on the history of Sligo with a fourth due out this year. As a poet he helped establish the Boyne Writers' Group and edits their magazine, Boyne Berries. As well as this he is an award winning stamp collector and race walker. With the exception of two sections, ‘western trilogy’ and ‘travellers’, these are stand-alone poems. They reflect the life and travels of the poet with titles such as ‘Fuerteventura 2008’ and ‘British Museum’. 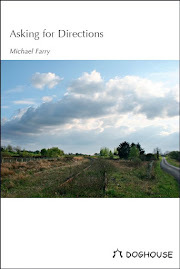 Even when contemplating the most serious subjects, such as his own death, Farry manages to raise a smile and the poems are marked throughout with a dry humour. 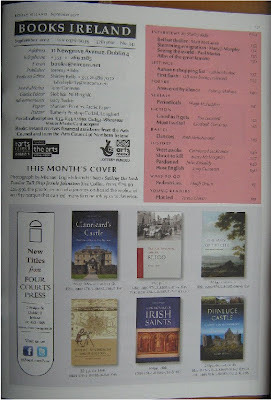 By coincidence my forthcoming history book is mentioned twice in the same issue. 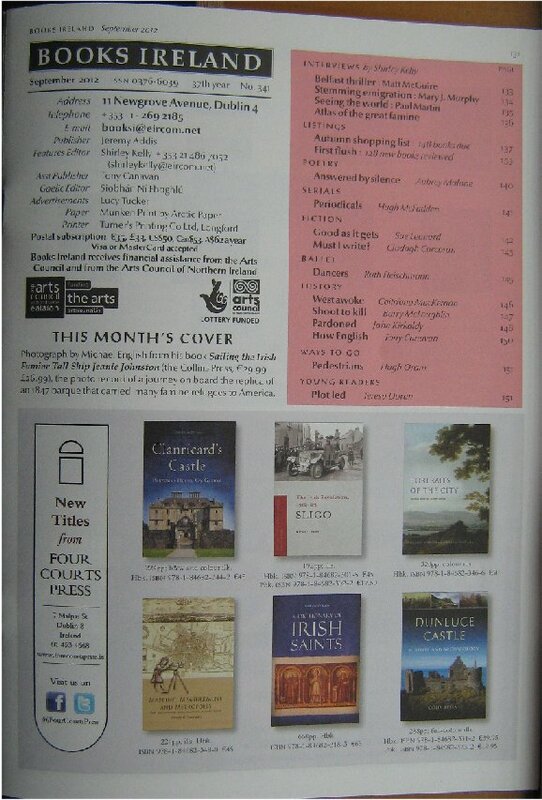 Once in the Forthcoming in Autumn section and in a half page Four Courts Press advertisement for new titles on the title page of the magazine. Should be ready mid-October. Winner: Marie MacSweeney, Drogheda for her poem "Alchemy"
Runner-up: Dan Reid, Dublin for his poem "Songbird"
Runner-up: Catherine Ann Cullen, Dublin for her poem "Sonnet of a Five-String Banjo". The award will be presented at a reading in the Brian Boru pub, Cross Guns Bridge, Glasnevin on Saturday 8 September, starting at 6.00 p.m. 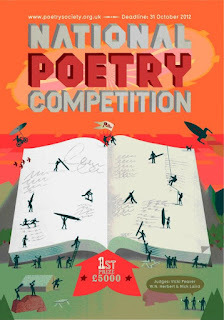 The winning poem will be published on the Festival website where you can also see the full listing of festival events. Festival updates are available on their Facebook page. The Dublin launch of the Windows 20 anthology takes place on Thursday 6 September at 6.30pm in the Irish Writers Centre. Kerri O’Brien, Maurice Devitt, Hugh Mc Fadden, Patrick Chapman, Gerard Smyth, Joe Woods, Philip Casey, Eiléan Ní Chuilleanáin, Áine Durkin, Tom Conaty, Todd Swift, Mary O’Donnell, Macdara Woods, Seamus Cashman, Alan Jude Moore, Iggy Mc Govern. - Bernard O'Donoghue (b. Cullen, County Cork) is a Fellow of the Royal Society of Literature; a former Reader at Magdalen College and Fellow and tutor at Wadham College, Oxford, he co-edits the Oxford Poets (Carcanet) series with David Constantine. 'Farmers Cross' (Faber, 2011) was shortlisted for the 2011 T S Eliot Prize following poetry collections which include 'Poaching Rights' (1987), 'The Absent Signifier' (1990), 'The Weakness' (1991), 'Gunpowder' (1995, which won the Whitbread Poetry Prize), 'Here Nor There' (1999), 'Outliving' (2003) and a 'Selected Poems' (Faber, 2008). 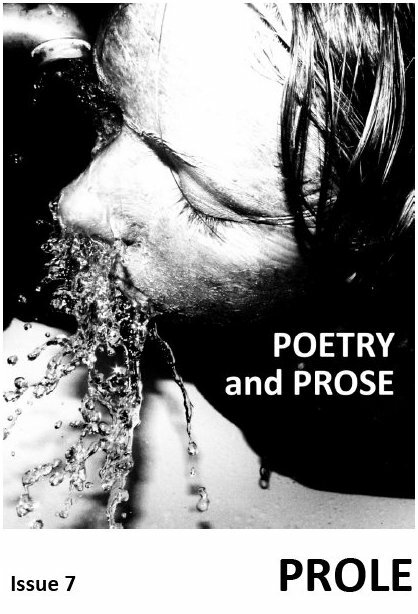 He has written on the poetry of Seamus Heaney and translated Czech poet, Zbynek Hejda. - Jane Draycott (b. London) teaches on postgraduate writing courses at Oxford and Lancaster Universities, and is currently Royal Literary Fund Fellow at Aston University: a PBS 2004 'Next Generation' poet, she won the 2002 Keats Shelley Poetry Prize, was shortlisted for the 2009 T S Eliot Prize and has won several awards for her audio work with Elizabeth James. 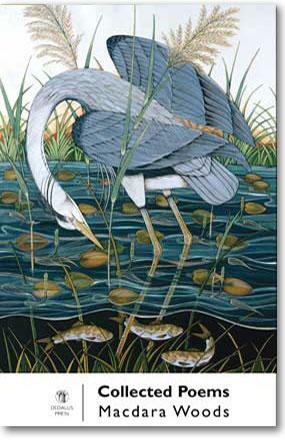 Her latest work, a translation of 14th century 'Pearl' (Carcanet, 2011) was a 2008 Stephen Spender Prize-winner. Earlier publications include (with Two Rivers Press) 'Tideway' (2002) with Peter Hay, and 'Christina the Astonishing' (1998) with Lesley Saunders & Peter Hay, and three full collections, 'Prince Rupert's Drop' (1999), 'The Night Tree' (2004) and 'Over' (2009), all with Carcanet/Oxford Poets. 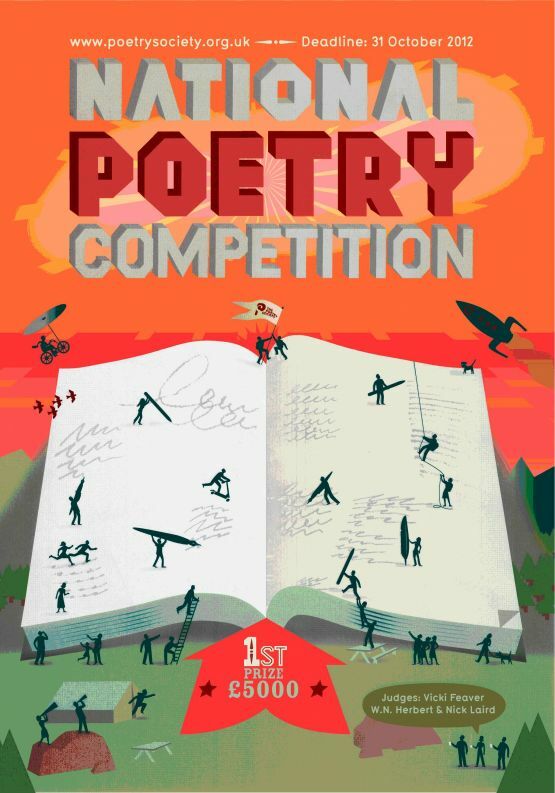 Both judges will read all poems submitted. I have a soft spot of Prole Magazine having won third prize in their poetry competition this year. The Prolitzer Prize for prose writing is now open for entries. Prizes: Winner - £130, publication in Prole issue 9 and on the website. Two runners up, each receiving £30 and possible publication. Length: Up to 2000 words of prose, fiction or creative nonfiction. Closing date for entries, 1 October, 2012. If you'd like to send a third person bio with your entry, please do. Entry fees: £4 for a single entry, £3 for each subsequent entry. Poetry will have its turn: the Prole Laureate poetry competition opens in October. Prole, Issue 8 has just been launched. It’s a fantastic collection of fiction and poetry. Prole can be purchased from the website. They are open to submissions for forthcoming issues. Guidelines on submitting, the writing competitions, and purchasing copies of Prole, are all on the website.